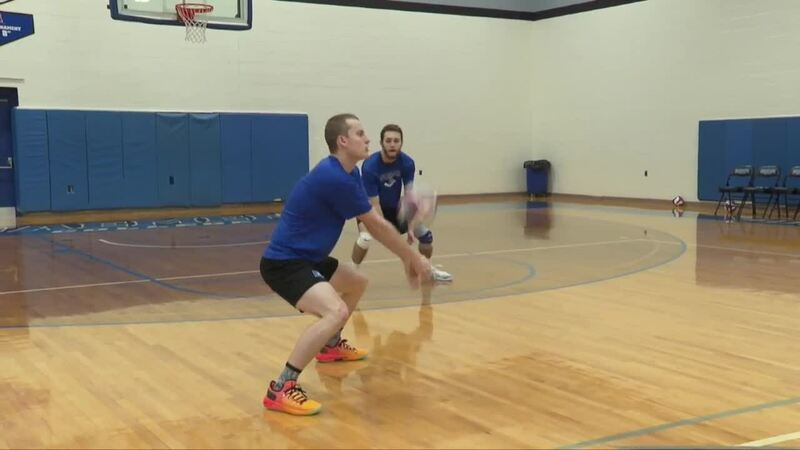 AMHERST, N.Y. (WKBW) — Michael Krueger always wanted to play college volleyball. "I was recruiting myself to different schools and I had never heard of Daemen," Krueger said. At that time, Daemen wasn't around. The program was established in May 2017 and is now in its first season of competition. Donald Gleason is the program's first head coach and has spent the last year finding guys that would be a perfect fit for the new program. "Just because they're good, doesn't mean they're gonna be good for Daemen," Gleason said. "The guys who are in this gym are the ones who connected with my vision for the program and they're a bunch of trailblazers over there." Daemen became just the 27th D-II men's volleyball program in the country and it's the only one above the Mason-Dixon line. That's huge for Coach Gleason when it comes to recruiting as he looks to keep his players close to home. "These kids from Buffalo and Rochester weren't able to stay at home and compete at that next level," Gleason said. "The guys who are jumping on board are the guys who are hungry for that." Recruited from as close as North Tonawanda to as far as Australia. Eight freshman and a sophomore who have been working through the fall to get ready for their first season. "Getting on the court and seeing it all come together, it feels really good," said Krueger. Just like every new program, Daemen has had growing pains but the future is looking bright. They're a young team that's adding at least six more players next season, all of them with the right mentality to build the program into something special. "It's not supposed to go just right. We're all freshman," Gleason said. "We've committed to the idea of who we are right now compared to who we'll be in four years from now. We're all committed to the growth." The wildcats are off to a 1-2 start and will play at home for the first time on January 23rd in an exhibition game.